During the launch of Micosoft's new product named "Microsoft Surface", an awkward yet funny scenario happened. It seems that the device has malfunctioned during the said presentation. 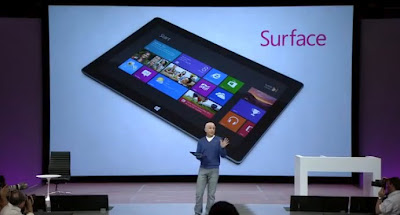 The guy on the video presenting the device is Steven Sinofsky, President of Windows and Windows Live Division. He is the one who introduced Microsoft's latest device against the war of "tablets". Unfortunately, during the said presentation, the tablet malfunctioned and appeared to have crash or hanged. This isn't Microsoft's first embarrassing moment in public. It was in year 1995 when during the pre-launch version of Windows 98 that the said operating software suddenly crashed and shows the blue screen commonly known in the software world as "Blue Screen of Death" or BSOD. The said presentation was actually televised on CNN back on those days. It was the moment when Bill Gates just suddenly blurted out that "That must be... er... that must be why we're not shipping Windows 98 yet!"